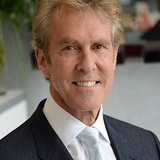 Dr Ian Hallam MBE is the principal of Meon Dental and Meon Face Aesthetic clinic in Hampshire. Dr Hallam is an accredited UK trainer for Silhouette Soft and a key opinion leader for Venus Concept. He is a multiple award-winner at the MyFaceMyBody Awards, the Aesthetic Dentistry Awards, the Smile Awards and the Private Dentistry Awards and has had 16 articles on facial aesthetics published.